We already know that 2018 is a big year for new drivers. If you look hard enough there are spy pics of some of 2018's big hitters doing the rounds. However we've had to keep quiet about the new Cobra driver range for a couple of months, and the new F8 drivers are absolute doozies that offer two technology's no other competitor will use in 2018. First up is the Cobra Connect. Now part of the entire F8 range of equipment, the F8 will come complete with a Cobra Connect sensor powered by Arccos. Automaticatically tracking your stats, you'll have hard quantifiable data to help you realise where you need to improve on the course. It's an absolute game changer, and while it was available in the F7 drivers, it now comes in the whole set of clubs. Electronically embedded sensors in the grip automatically record the distance and accuracy of every shot so golfers can track their improvements round-to-round. Using the COBRA CONNECT/Arccos 360 mobile app, users simply pair their club to receive detailed performance data and access rangefinder GPS distances for more than 40,000 courses worldwide. No one else can offer anywhere near this technolgy as an intregral part of their equipment range so well done Cobra. The other big tech change is a CNC milled driver face. We know what that is from putters, and here it is a means to produce a perfectly consistent driver face that produces more consistent results. Not only that it looks incredible!!! 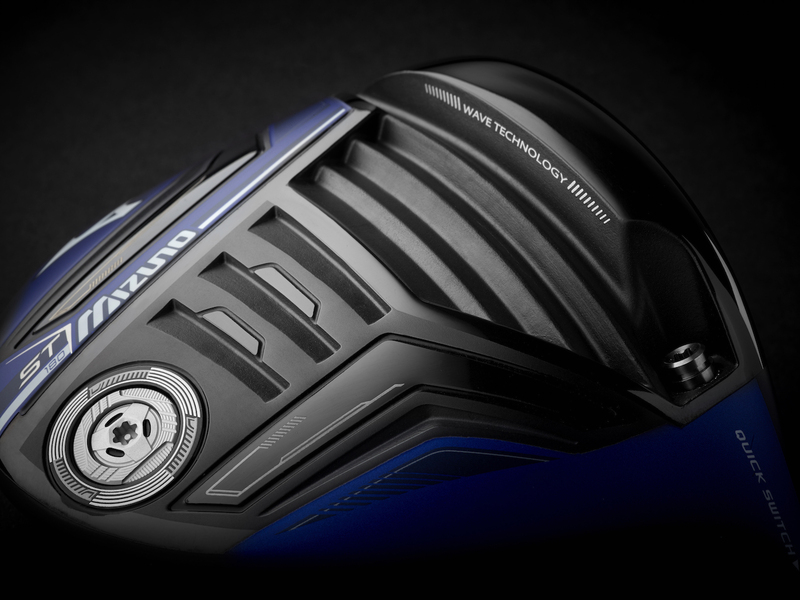 The fully machined driver face utilises a unique multi-directional CNC milling pattern that delivers the highest level of precision for superior performance. Compared to traditional hand polished drivers, CNC precision milling allowed COBRA engineers to achieve precise face thickness and tighter tolerances resulting in improved bulge-and-roll curvatures with a face that is 3% thinner and 10% lighter for maximum ball speed across the face with distance and accuracy.The KING F8 and F8+ drivers are designed to provide golfers of varying playing abilities a choice between oversized performance with maximum forgiveness or traditional shaping with maximum workability, precision and penetrating ball flights. 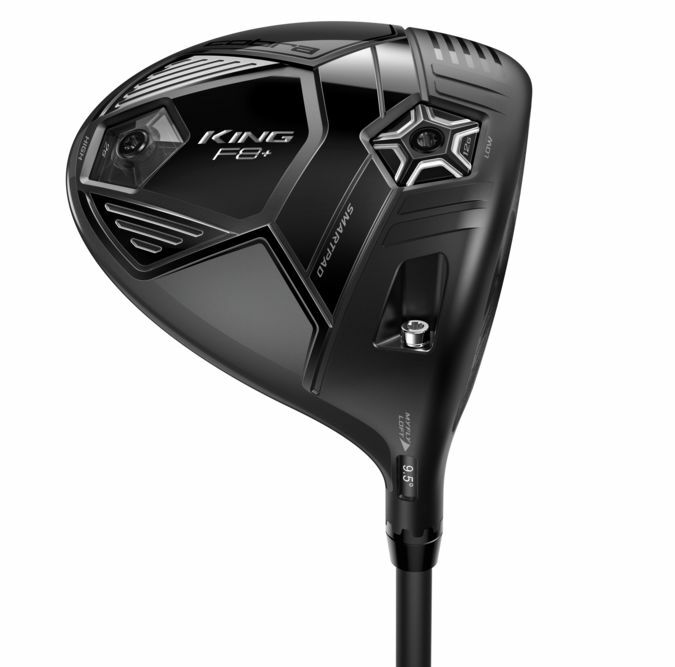 The KING F8 driver (RRP £329) features an oversized address profile that increases MOI and provides more distance, forgiveness and speed on off-center hits. An adjustable weight system offers two Center of Gravity (CG) settings: one in the back for a higher, towering ball flight and one in the heel to provide additional draw bias. COBRA’s 360 Aero Technology incorporates an innovative system of aerodynamic trips strategically positioned around the perimeter of the face to improve drag reduction through the downswing for increased clubhead speed. COBRA engineers utilised a polymer material on the trips placed on the crown for better CG positioning and higher MOI. An ultralight, 5-ply Carbon Fiber crown saves discretionary weight to move the CG lower and deeper for higher trajectories and increased forgiveness. A lightweight 8-1-1- Titanium Body and Forged Face spares weight while the brands’ patented E9 Technology, a variable thickness face designed with elliptical pattern Sweet Zon, creates more hot spots farther away from the center of the face for more distance on heel and toe shots. MyFly8 with Smart Pad® technology affords golfers the choice of eight loft settings (9.0-12.00) to fine tune launch conditions and maximise distance while Smart Pad® maintains a square clubhead at address. The KING F8 Driver will be available in Nardo Grey. 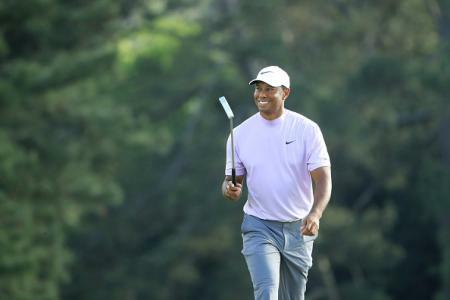 The driver will come stock with a Lamkin REL 360 (Tour Taper; COBRA CONNECT) grip in nardo and a choice of three stock shafts: MRC Tensei CK Blue 50g (lite & regular flex); Aldila NV 2KXV Blue 60 (regular or stiff) or an Aldila NV 2KXV Green 65 (stiff flex). 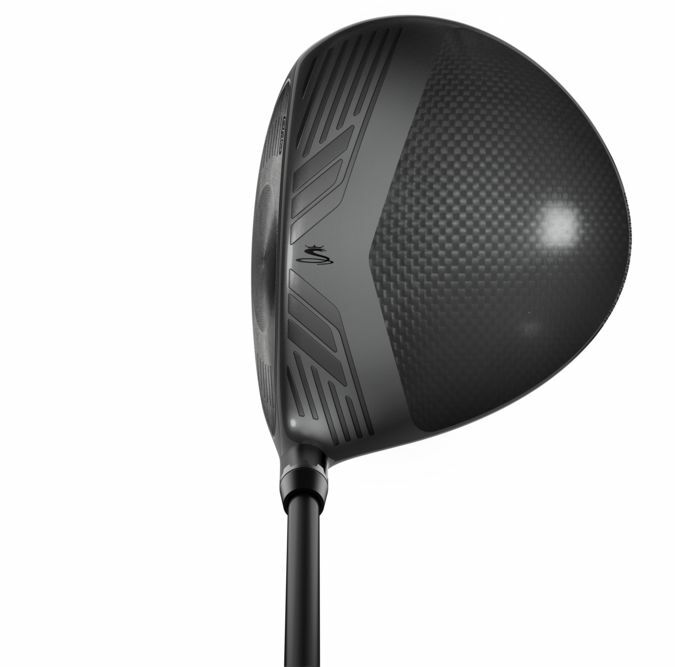 Designed with a more traditional clubhead shape and a lower loft range (8.0-11), the F8+ Driver (RRP £329) utilises the same key technologies as the F8 driver – including a CNC Precision Milled E9TM face, 360° Aero Technology, a Carbon Fiber Crown and MyFly8 Technology. 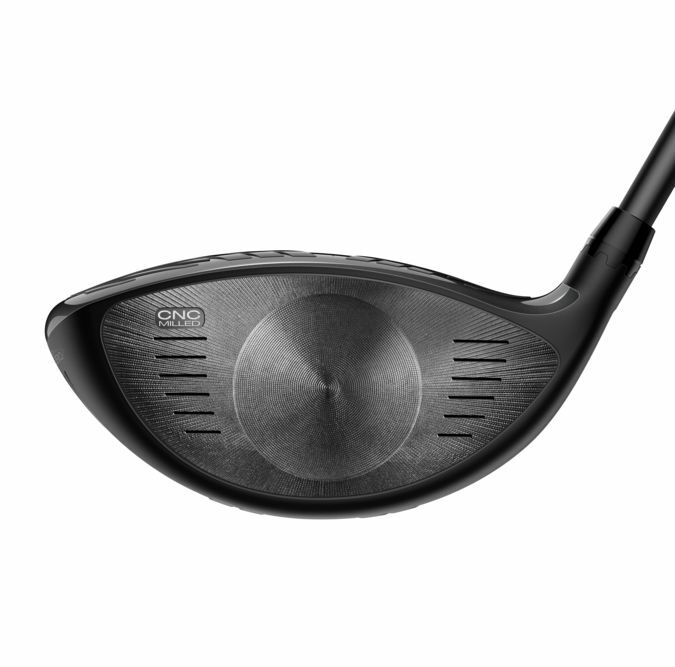 Featuring lower trajectories compared to the F8 driver, the F8+ driver is equipped with two CG settings, one in the front, for a lower, penetrating ball flight, and one in the back for a higher, towering ball flight with slightly more spin. The plus version comes stock with a Lamkin Crossline 360 (COBRA CONNECT) grip in nardo with three premium aftermarket shaft options: Aldila NV 2KXV Blue 60 (stiff and reg flex), Aldila NV 2KXV Green 65 (stiff and x-stiff) and Project X HZRDUS Yellow 75 (stiff, x-stiff) in RH and LH. The F8+ is also available in Nardo Grey. Both the F8 and F8+ drivers will be available at retail on Feb 2nd, 2018.